1. The body is made of cast iron. Low noise and good shock-absorbing ability. The function is simple for workers to adjust and use. 2. This type of machine installs the cooler. It makes the temperature of oil tank remain low, to ensure the output being stable. 3. 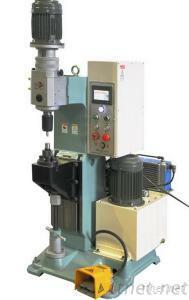 Suitable for stainless rivets, brakes and other related hardware riveting.